Skyscraper leaves me conflicted. On one hand it is a terrible movie, with under-developed characters, absurd moments, ridiculous plot-points and a concept which is as bizarre as it is silly. On the other hand, it is brilliant and if you buy into it, you will have a great time. Skyscraper knows exactly what it wants to be. One half Die Hard, one half The Towering Inferno, Skyscraper is an action, disaster movie which plays straight into it’s main-star’s hands. 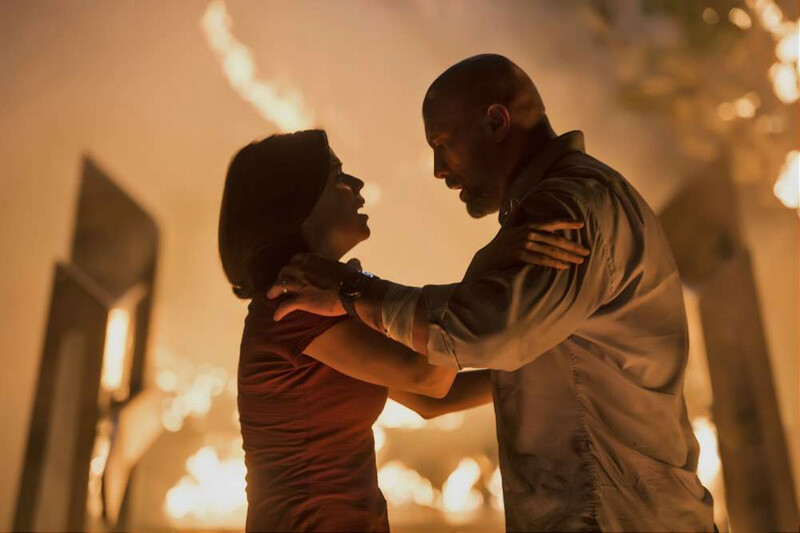 Dwayne Johnson is the family man who is tasked with saving his family (and subsequently “the day”) and he does so with all his usual, every-man charm. He somehow plays down the muscles and cocky grin and instead goes for stoic, out-of-his-depth but with unwavering courage. If they are trying to create the new John McClane, they haven’t quite, but they aren’t far off. This is helped by the ridiculous action sequences and set-pieces. Skyscraper will keep you on the edge of your seat. From the moment that Johnson’s character begins to climb a super-crane to get back into the burning building, the movie never relents. It also uses the height of the “tallest building in the world” to great effect as well. Johnson is often dangling, peering or on the edge and the camera takes all of this in, with full glory and stomach-churning effect. When not in sticky situations, Johnson is dealing with the villains who have his family. This is where he plays a more vulnerable character. He isn’t a one-man army who can take fifty bullets and keep moving. He gets beat-up and injured but this just makes you root for him more, especially when Roland Moller is being a credible, despicable threat. All of this action, peril and investment in the characters means you can, if you allow yourself, disregard the poorer elements of the movie. The story begins with little development or set-up and before you can blink, the building is on fire and people are getting killed. For the first half of the film you don’t even really know why the villains are doing what they are doing. Not that you need to. If you have seen even a few action movie you will guess where this is going. The “shocks” are predictable, the outcome and finale offers no surprise and the story is as thin as you’d expect from a Die-Hard wannabe. All of this is excused because what Skyscraper does effectively, it does so effectively that you can’t help but be entertained. It also helps that Dwayne Johnson is the hero. He holds the film together (literally in one ridiculous bridge sequence) and makes anything watchable, even something as flimsy and silly as this. 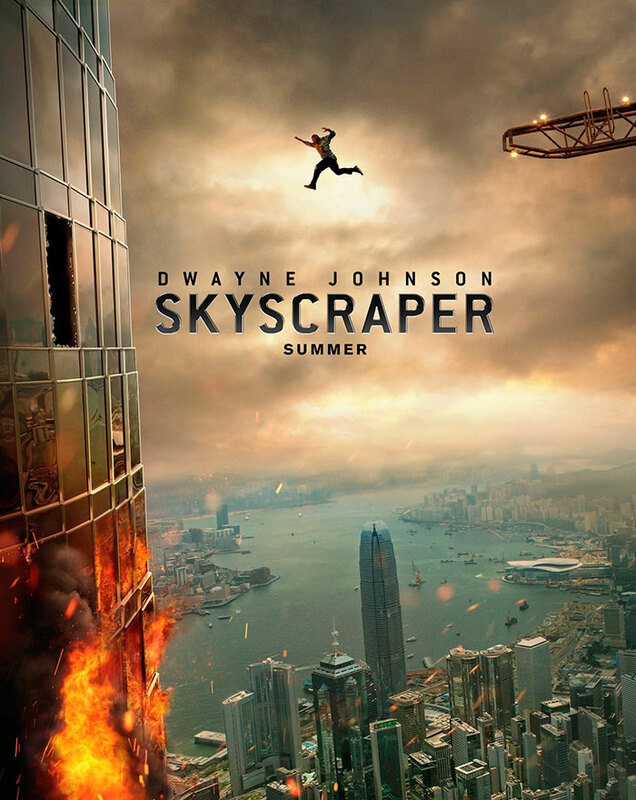 Overall, Skyscraper is a great, mindless action movie with some fantastic set-pieces and sequences which will keep you on the edge of your seat. It does have a lot of flaws but with Johnson as a leading-man, most of this is forgotten in an instant. Previous Previous post: Dwayne Johnson Month: Trailer of the Week: SHAZAM!